On Monday, February 4, Brandeis second grade students were excited to begin their week by receiving their new Chumashim! 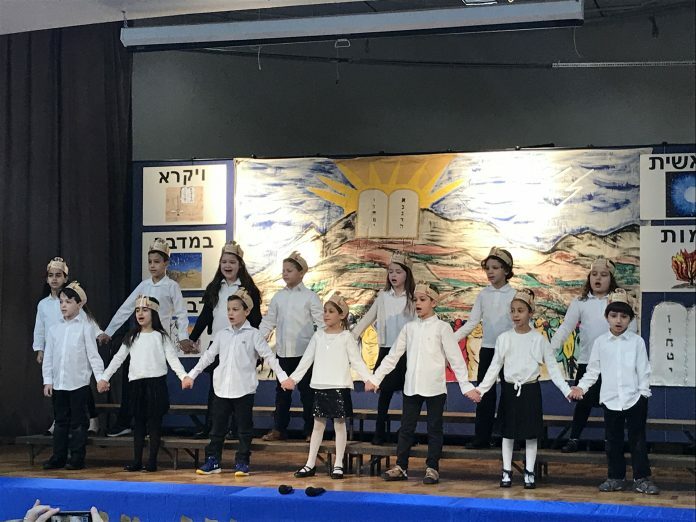 Students performed beautifully as they sang proudly and delivered timeless messages both in Hebrew and English, describing just how special the Torah is to them and the Jewish people. Oil And Water: What’s The Story? Problem: How can we clean up oil spills from our waters to save wildlife? Brandeis fourth graders in Mrs. Weiss’s class explored mixing oil and water, while attempting to remove the oil from the water. On January 31, the Brandeis boys’ basketball team defeated Yeshiva Har Torah by a score of 50–42. The next week, on February 4, the team defeated YCQ in Queens. The final score was 60–48 and it was their third win in a row.